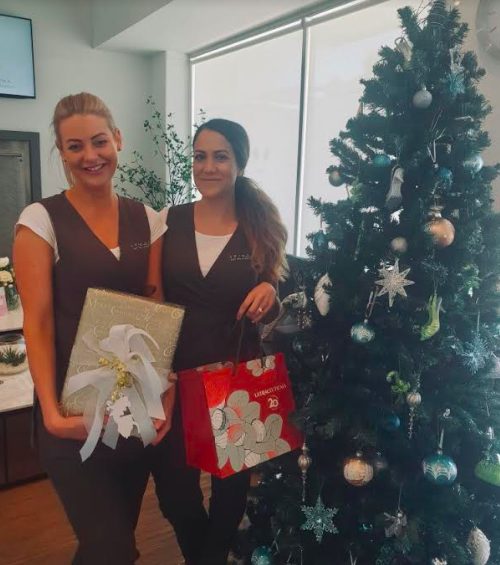 A big Merry Christmas from Serene Day Spa! Well, another year is nearly behind us…and what a year it has been! We’ve thoroughly enjoyed the 2018 year with all of our beautiful customers, both regulars and new clients too! We would like to wish all our clients a very Merry Christmas and thank you for all your continued support throughout the year, we couldn’t have done it without you! To ensure we continue to anticipate our client’s needs and live up to our ‘Serene’ namesake, we’ve also spent the year introducing new treatments and products and updating the overall aesthetic appeal and atmosphere of our day spa. We look forward to more exciting changes in 2019. From all the Serene Management and Staff our promise for 2019 is to continue pampering and taking care of all our lovely existing clients also welcoming every new client to experience all that our Serene space has to offer. May you enjoy Christmas with your loved ones and have a happy and safe New Year. The serene team are already in the Christmas spirit! Our product wall has many items that make great gift ideas, Christmas packs still available, be quick before they are all snapped up. New Ultraceuticals travel packs have arrived, very popular and make great gift idea. Our gift vouchers can be redeemed for any of our treatments, and they can be purchased over the phone or directly from our salon. If ordering over the phone, we can post the voucher to you or directly to your recipient with a customised message from you. Do you want to pamper someone special this Christmas? Serene Day Spa has the perfect gift, perfect for loved ones, or if you’re feeling extra special, even yourself! Our Christmas Special Pamper Packages are a truly magical way to spoil yourself at the end of a long year…because…why not! If you’re on the lookout for a meaningful, relaxing gift for a loved one this Christmas, then you simply can’t go past one of our Christmas gift vouchers. Give the gift of Serene time this holiday season!